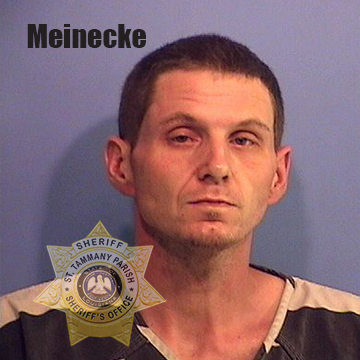 Update: After he was booked into the St. Tammany Parish Jail, it was discovered the individual who identified himself as Jeremy Meinecke, 36, of Abita Springs, was in fact Joseph Barnes, an individual wanted out of Kentucky for violating parole. His original charges out of Kentucky included Possession of Heroin, Second Degree Burglary, Second Degree Assault and Tampering with Physical Evidence. Barnes was wanted by the Kentucky Board of Corrections for Failure to Report to His Parole Officer as Directed, Failure to Make Restitution as Directed, Absconding Parole Supervision, Failure to Pay Supervision Fee as Directed and Failure to Report Home Address to Parole Officer. Barnes has been rebooked as a fugitive out of Kentucky and the St. Tammany Parish Sheriff’s Office has added a charge for LRS 14:108 Resisting an Officer for falsely identifying himself. 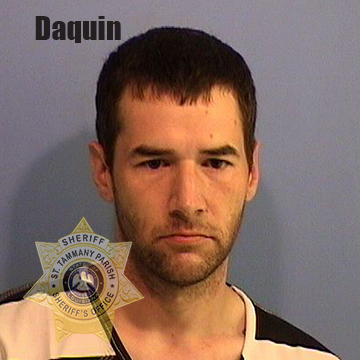 A man wanted on drug charges out of St. Bernard Parish was apprehended Friday afternoon (Sept. 7) after a lengthy chase that lead St. Tammany Parish deputies from Abita Springs to Lacombe. 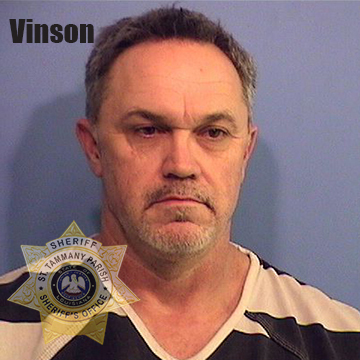 Members of the St. Tammany Parish Sheriff’s Narcotics Task Force were preparing to execute a search warrant on an Abita Springs-area home when a subject departed the residence in a Chevrolet HHR, which was displaying a switched tag. Detectives followed the vehicle away from the immediate area and attempted to conduct a traffic stop on the vehicle after the driver failed to utilize his turn signal. The vehicle failed to stop and instead entered the on-ramp on Interstate 12, headed east toward Slidell. 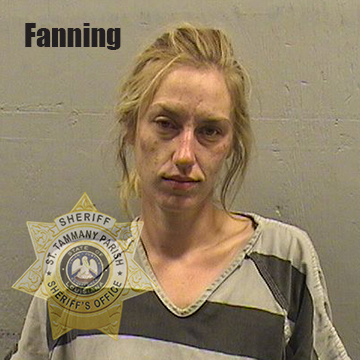 Detectives were assisted by members of the STPSO Criminal Patrol Division as the vehicle continued eastbound on I-12, traveling at high rates of speed, driving on the shoulder and even exiting and reentering the interstate in an attempt to elude deputies. As the vehicle approached the Hwy 11 exit, deputies deployed spike strips. The driver swerved to miss the strips, lost control of his vehicle and crashed first into another vehicle and then into a concrete barrier. 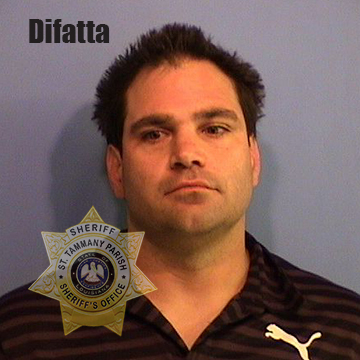 He was also booked as a fugitive out of St. Bernard Parish, where he was wanted on drug violations related to heroin. The vehicle, which was struck by Difatta was occupied by two females. They were transported to a hospital, where they were treated for minor to moderate injuries. Vincent was also booked on warrants for Failure to Appear on previous drug charges and a previous driving while intoxicated charge. The St. Tammany Parish Sheriff’s Narcotics Task Force is comprised of detectives from the St. Tammany Parish Sheriff’s Office and Mandeville Police Department.